Was told to talk this product by my MD. 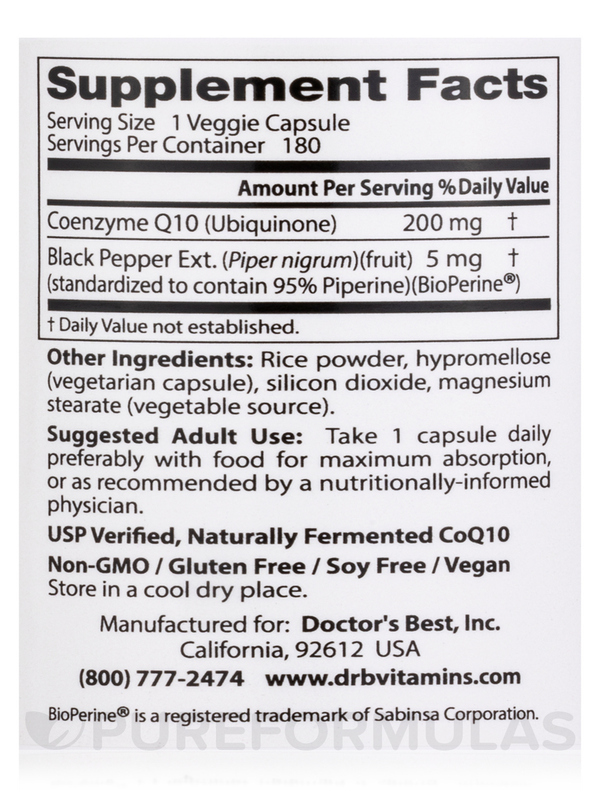 CoQ10 with BioPerine in 200 mg capsules is part of my supplement protocol for Lyme Disease. Think this product helps with heart health and energy levels. USP Pharmaceutical Grade. Naturally Fermented. 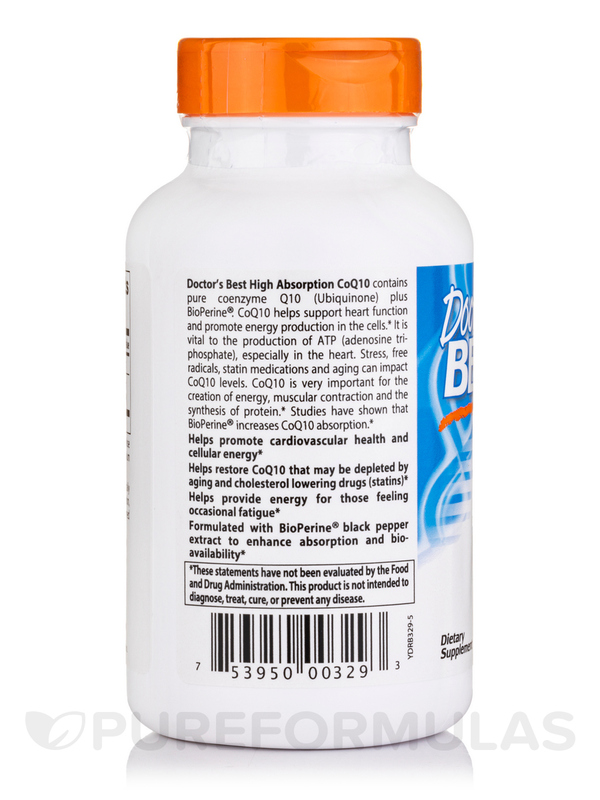 This High Absoprtion CoQ10 with BioPerine® 200 mg by Doctor's Best research-based combo helps my migraines when taken with riboflavin. 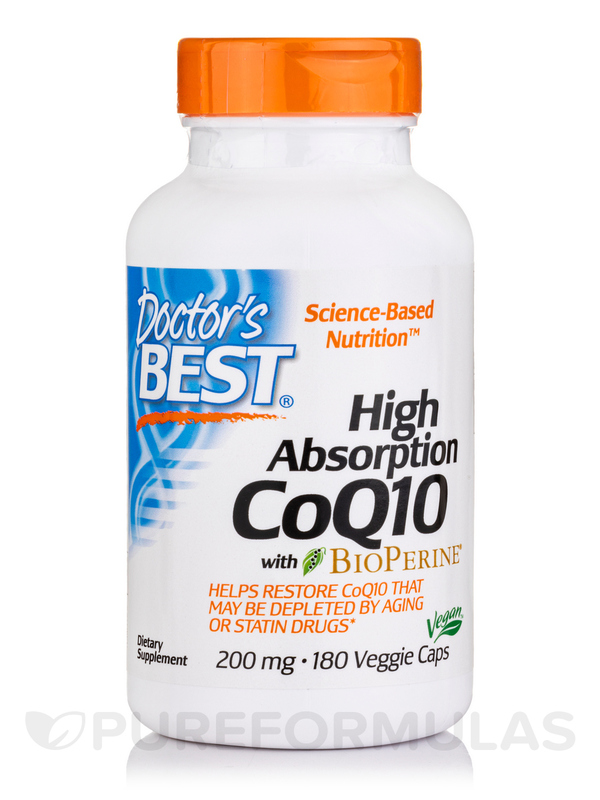 High Absorption CoQ10 by Doctor's Best has been a life saver for me. I have cramps in muscles, as I take cholesterol medication for my heart. 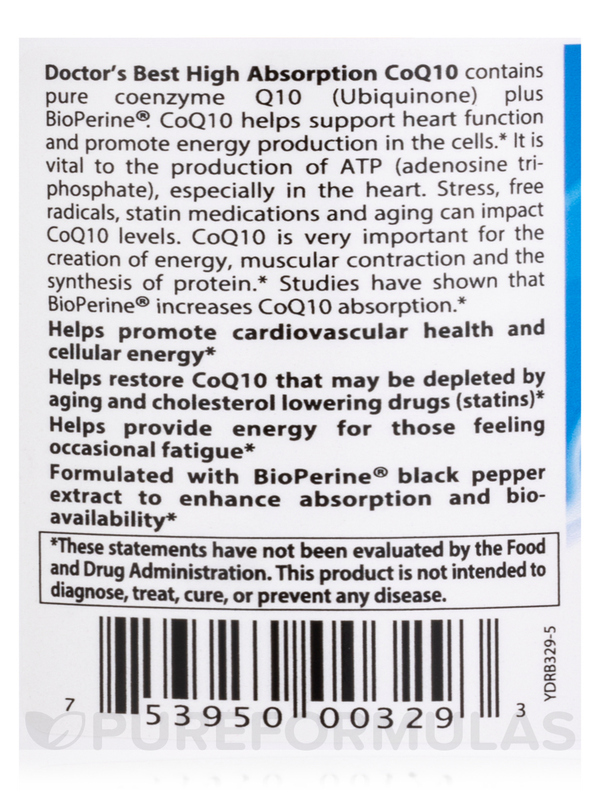 High Absorption CoQ10 gets rid of any problem. 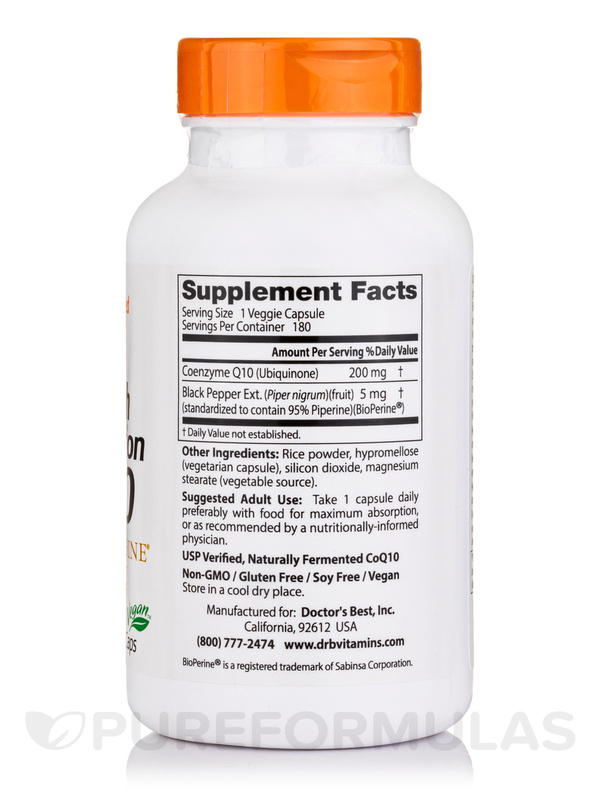 I totally recommend 200 mg as the right dosage. Sometimes I take a Apple Cider Vinegar capsule at bedtime. Great for muscle pains. No side effects.